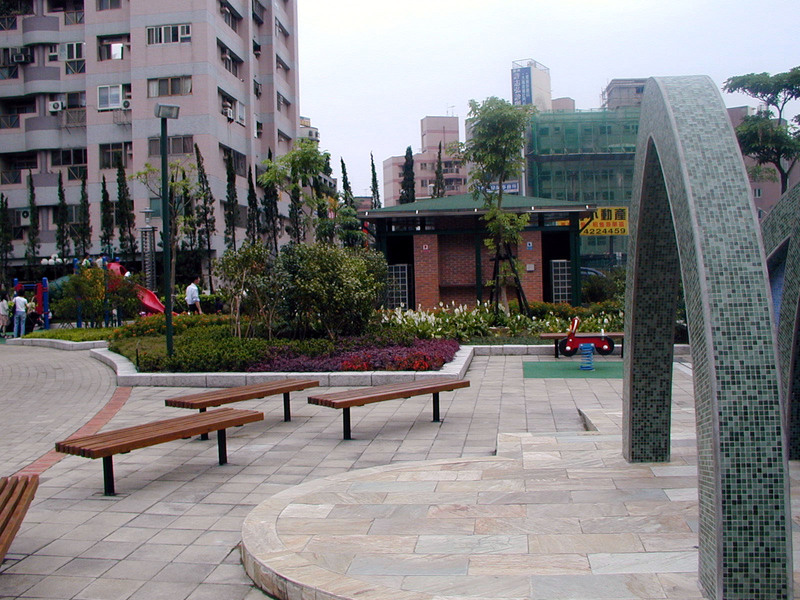 Collaborating with a local engineering firm, CRJA-IBI Group worked closely with the Mayor of Chung-li City to develop a high-density city square into a multi-functional neighborhood park, able to provide gathering space for as many as 1,000 people. 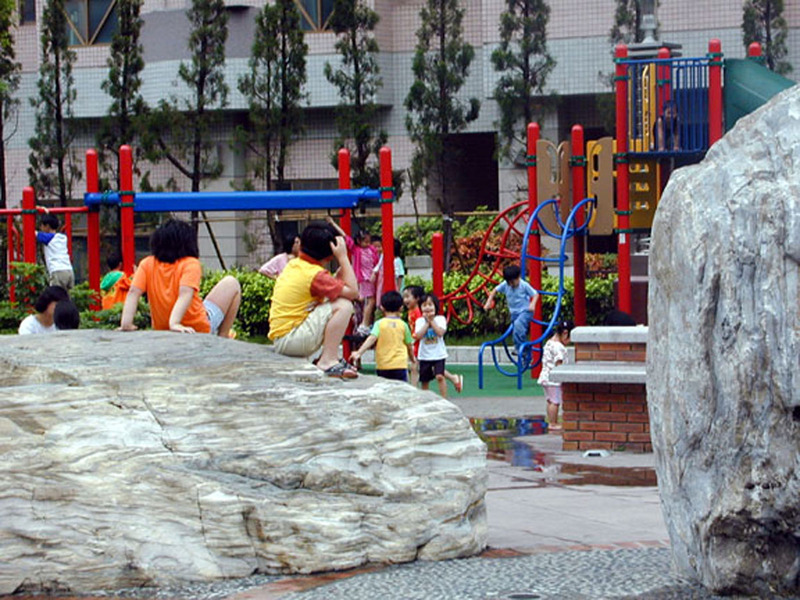 Despite being surrounded by high-rise buildings, the park is comfortable and open. 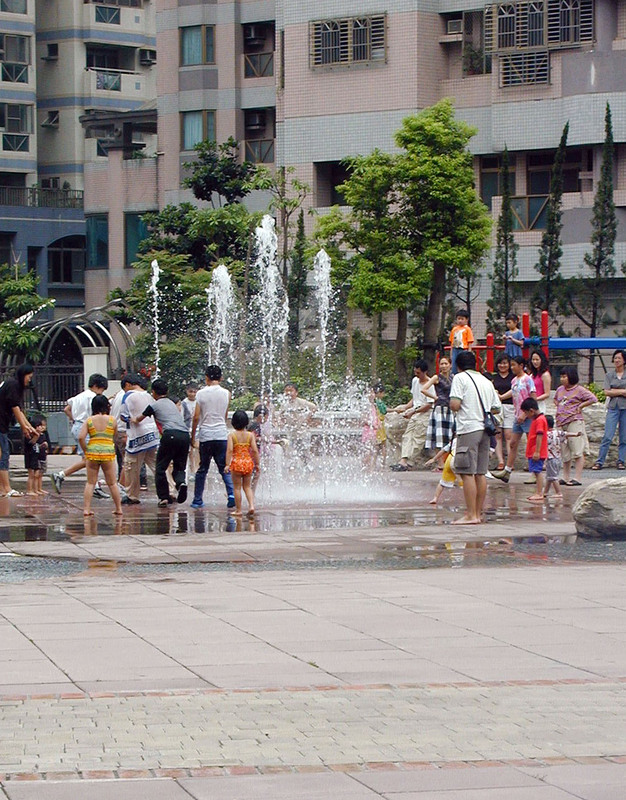 It incorporates several water elements, a small theater area, a play facility, a large plaza, and several intimate seating areas, able to respond to the varied constituents. 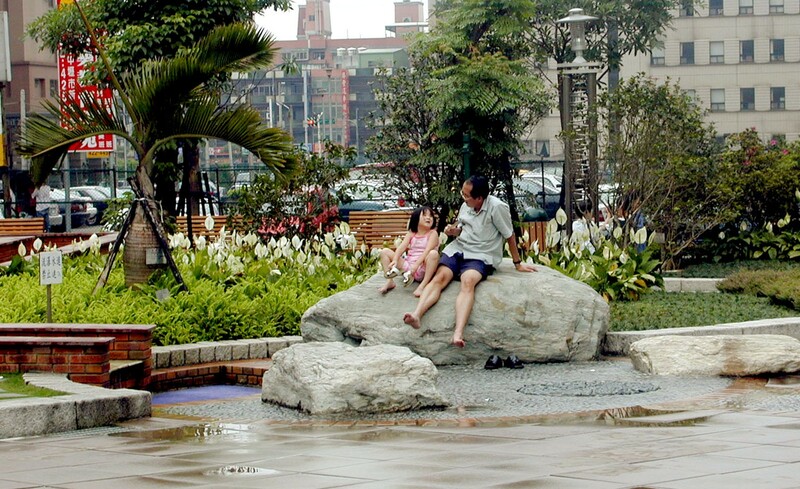 Among the more fanciful water features is a laminar flow water element, jumping streams of water through various areas of the park. 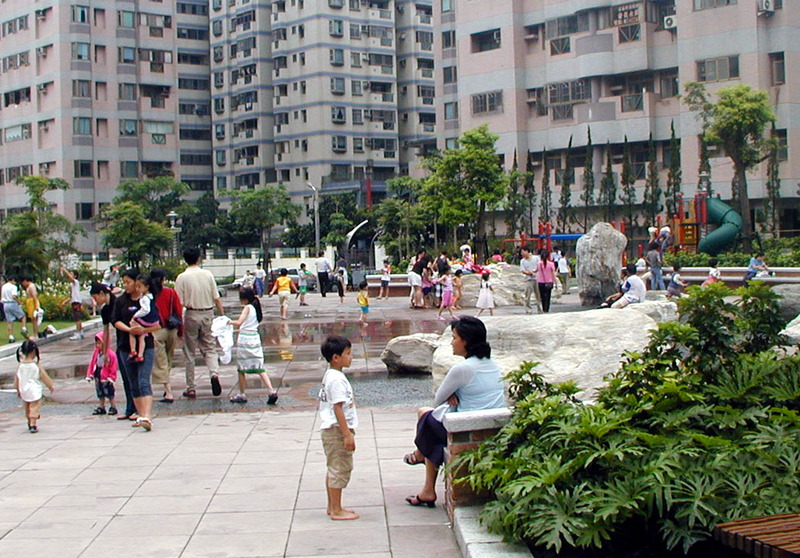 Additionally, a large centrally located fountain, set to a timer, completes a water theme that has become a great favorite of neighborhood children. 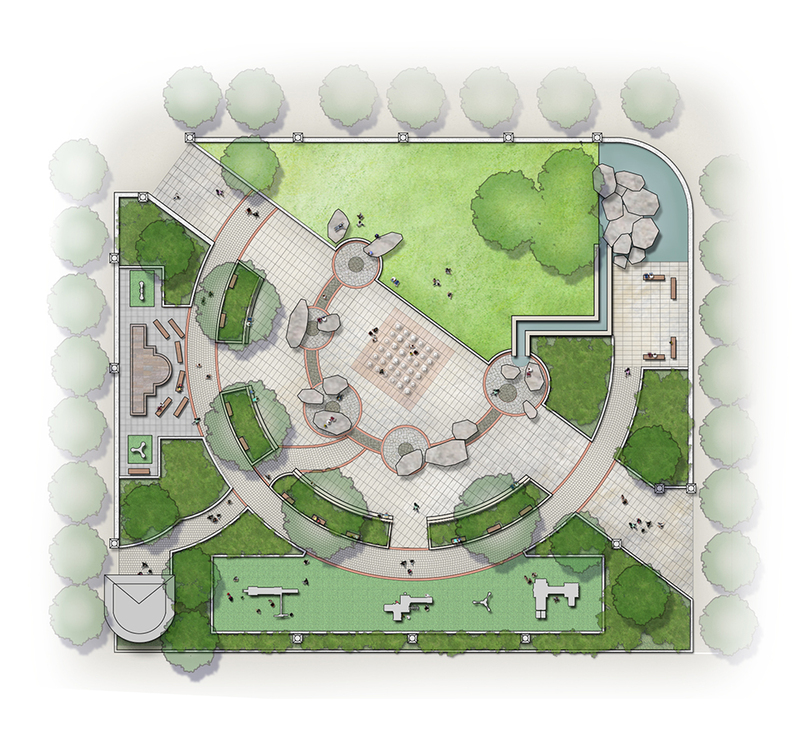 Throughout the park, lush plantings provide a pleasant backdrop to the more active facilities.